Royal Canin Mini Adult for small breed adult dogs between the target weight of 1kg and 10kg. For small breed adult dogs, that are overweight or prone to putting on weight. 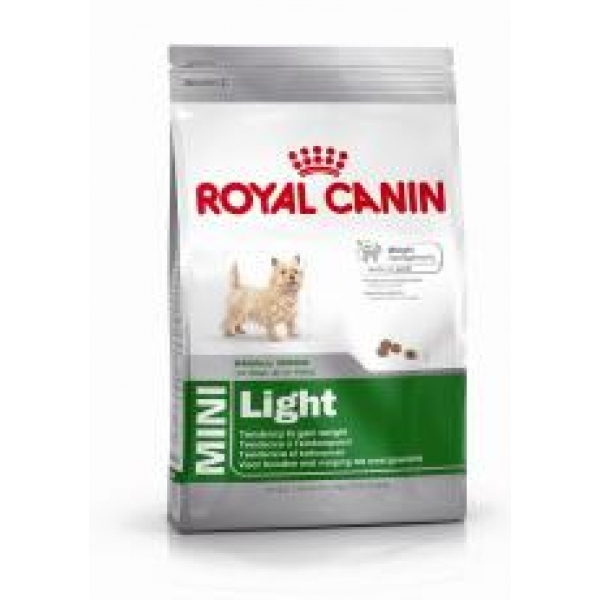 Can be fed to overweight small breed dogs from 12 months of age. Has an increased protein content to preserve muscle tone and limit weight gain. Contains L-carnitine that helps to burn fat.